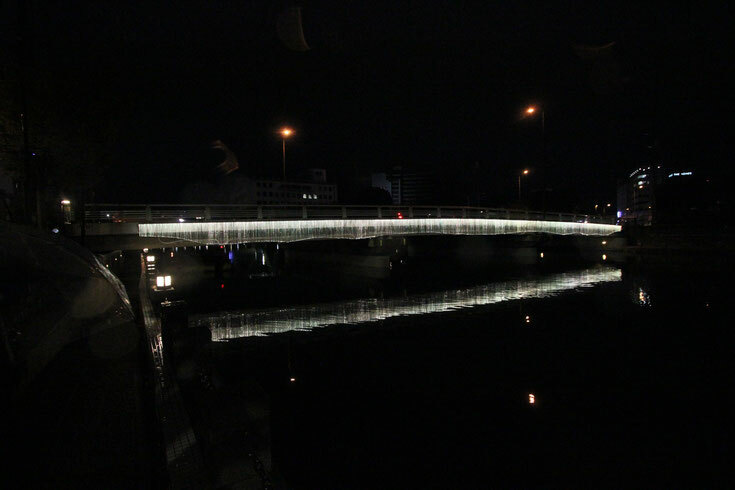 The Kasuga bridge is a special place in Tokushima Prefecture. 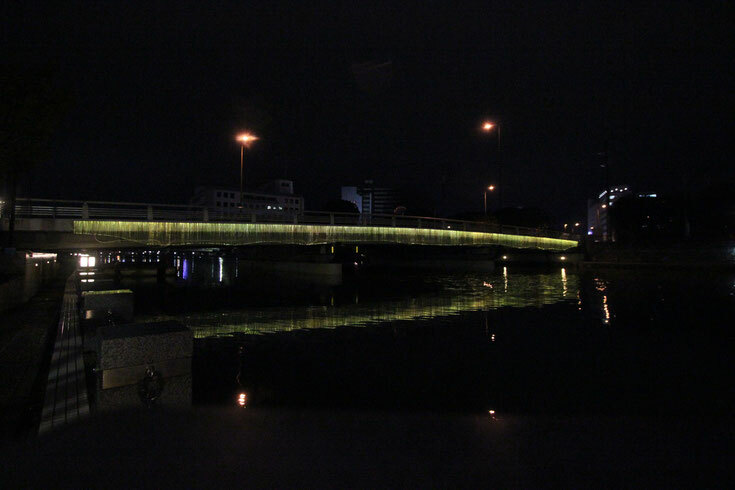 Since historic times, it was endowed with a good scenary of water and nature, lit with articial lighting. 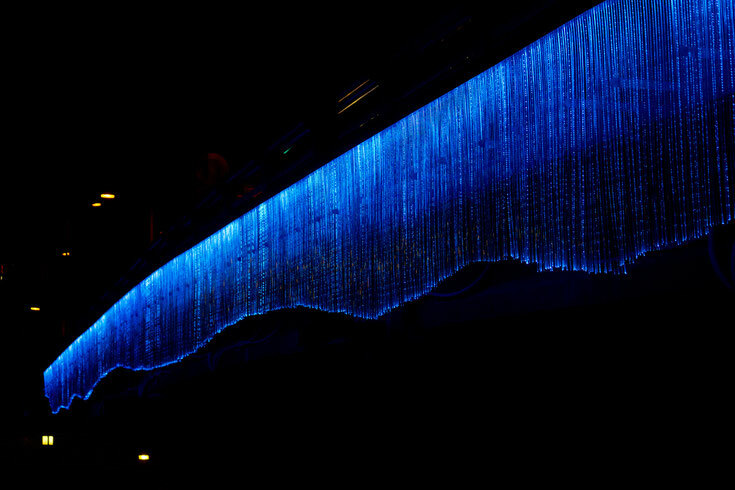 The beautiful coastal scenery of emotive night lighting along the awa indigo factories is truly a cultural landmark. 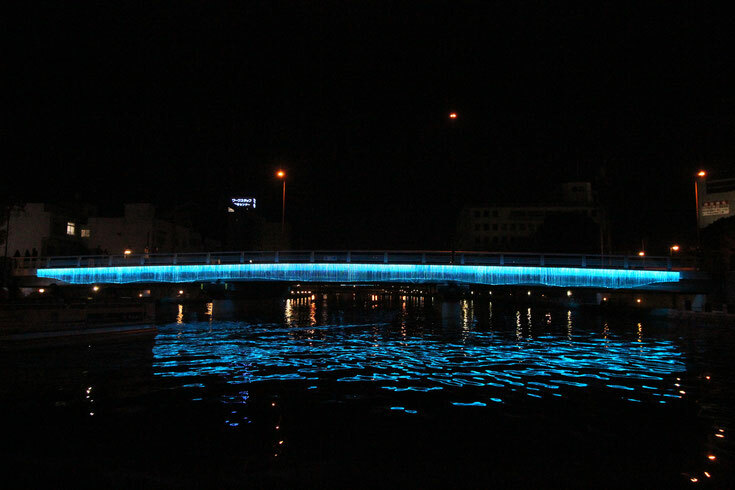 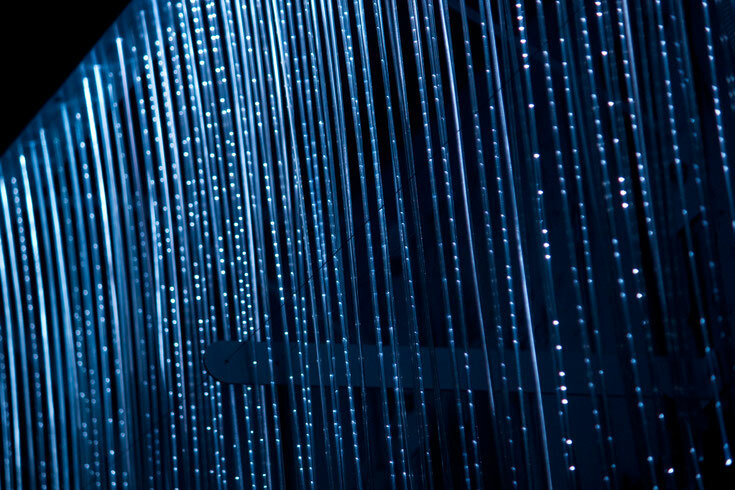 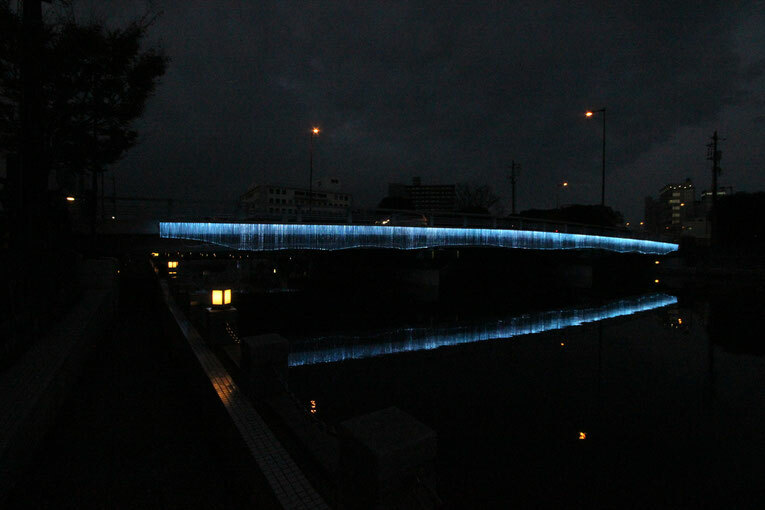 Via the Art installation, Water, Nature, LED Lighting and Culture (of the awa indigo) are gathered, defining a new image of Tokushima. 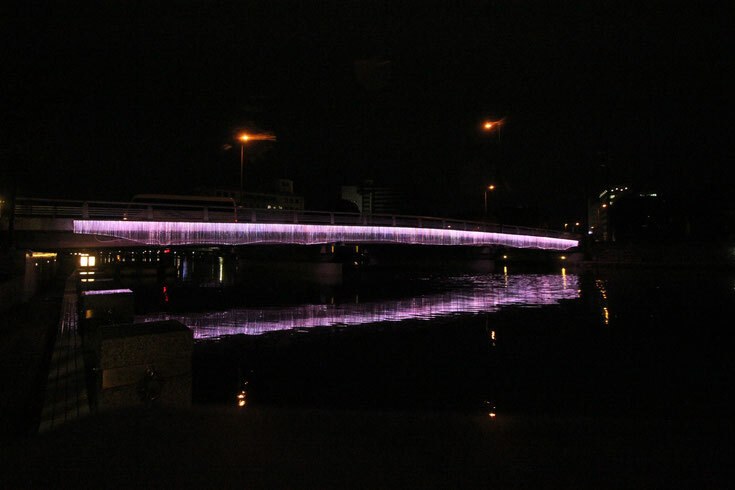 A uniquely beautiful landscape is harmoniously fused into the neighbourhood. 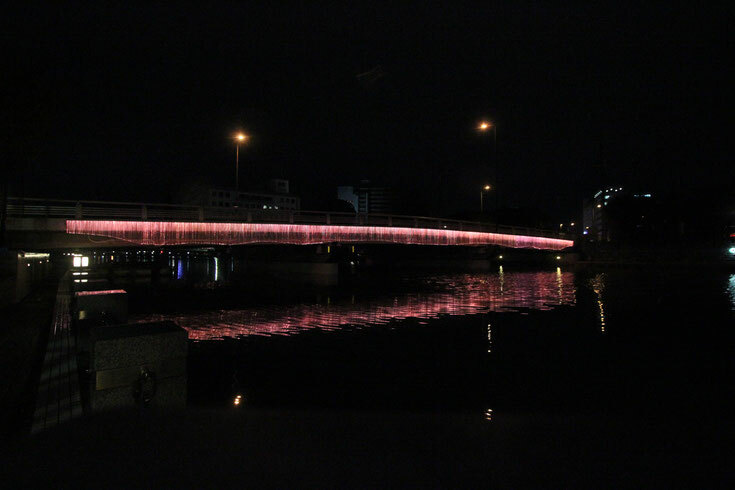 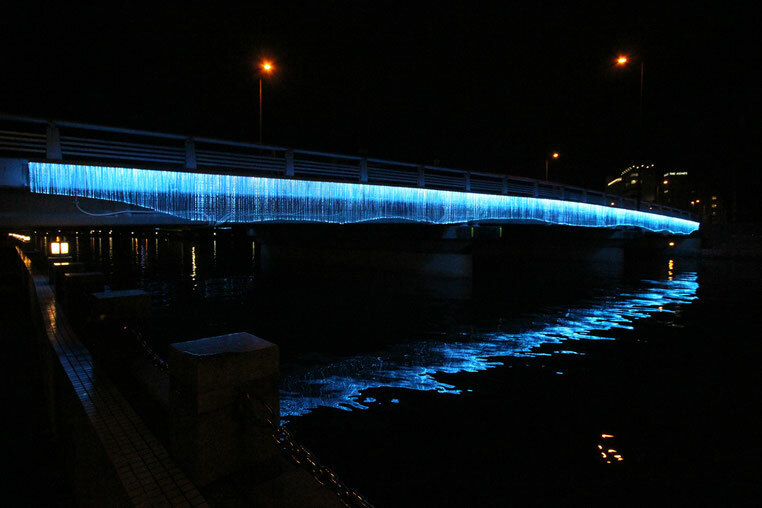 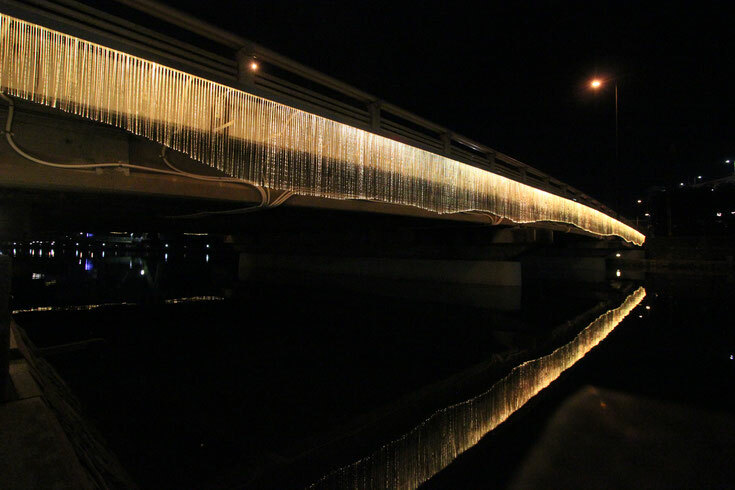 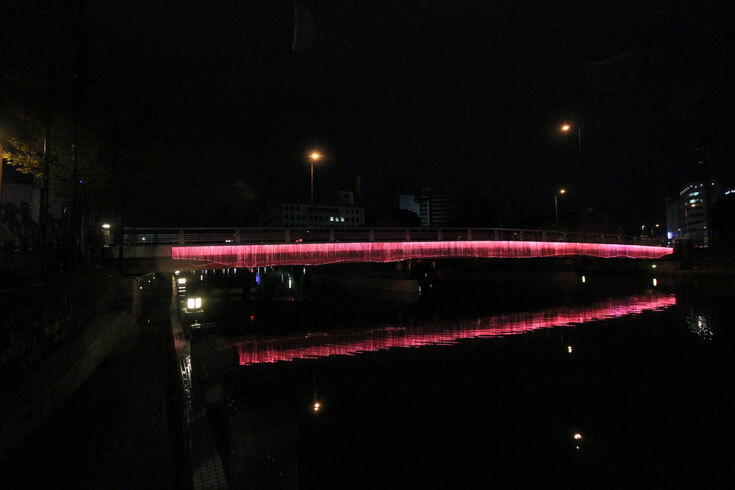 Just as the Kasuga Bridge connects to the Hyotan Island, through LED lighting the past and future as connected as a lighting scenery. 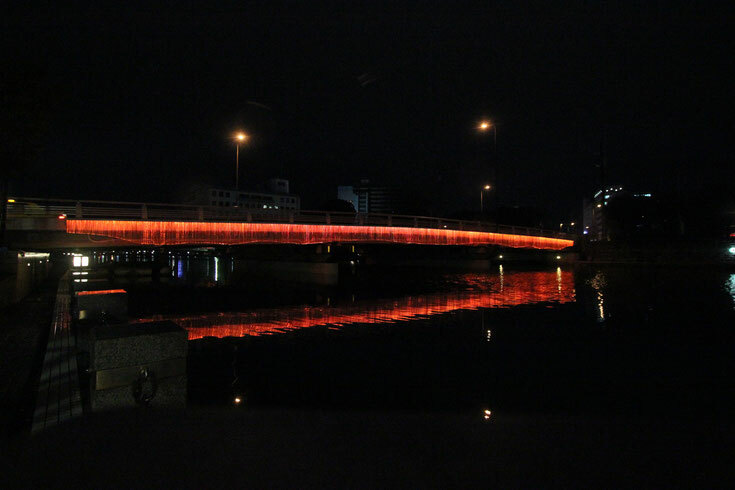 We hope this bridge will become a connection between Tokushima Prefecture and the World.